In response to 18F’s challenge to build a next generation application using the openFDA API, Blue Raster developed the openFDA Enforcement Mapper. 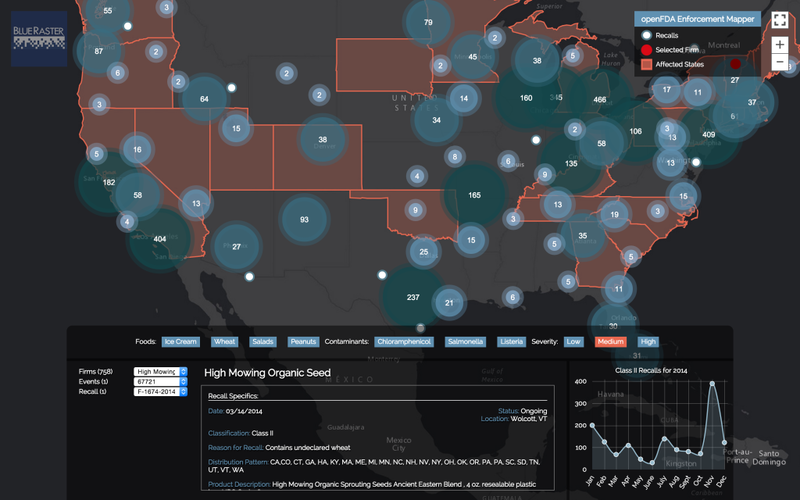 Our goal was to create a map-based dashboard showcasing food recalls across the United States. You can visually see how recalls affected different regions. Here is a first look at how we built this rapid prototype. 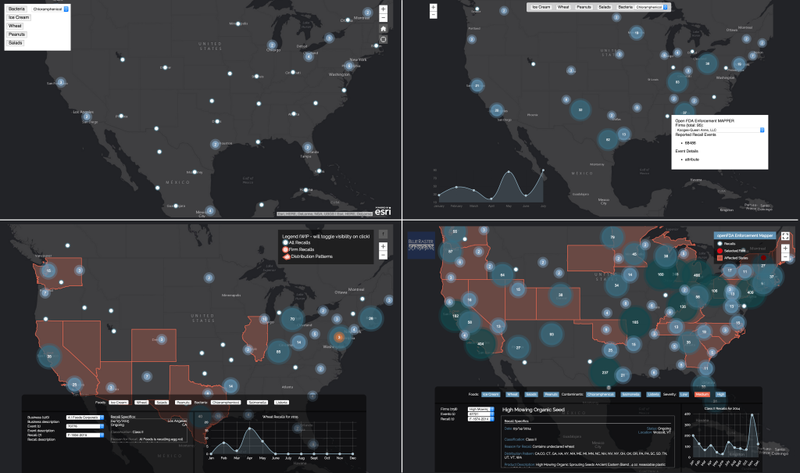 For full project documentation and code, visit our GitHub at github.com/blueraster/open-fda-map-viewer.